this spells comfort for me too! Love the idea to add veggie bacon to grilled cheese. Now that’s a taste memory from the old country!! Just reading the title made me smile. Actually smile! Thank you. Yes yes yes! The ultimate comfort! Amazing since when I think of comfort food the first thing that comes to mind is grilled cheese and tomato soup! My Mom always made that for me when I needed a little extra pampering! I love both of these recipes! Soup is always comforting to me and the grilled cheese looks delicious! Yep, tomato soup and grilled cheese. Comfort underscored and such interesting versions! Woah, that is really loaded, love the idea and all the veggies. I hear that! 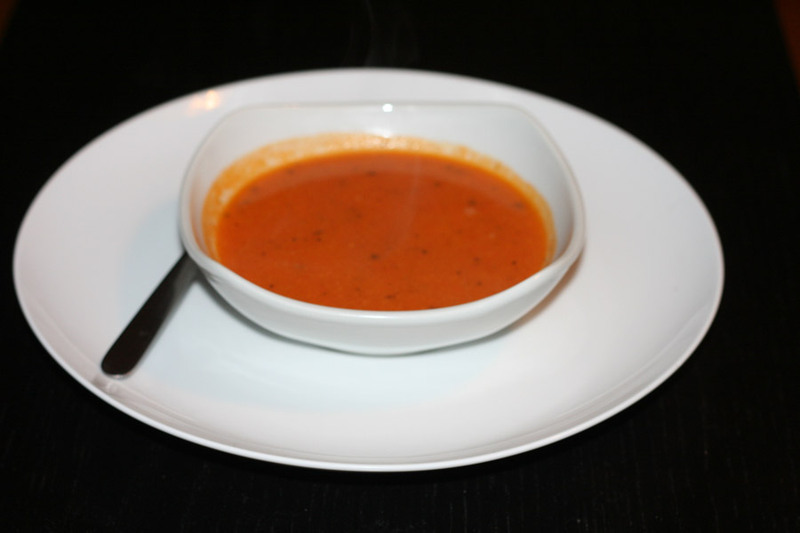 Tomato soup and grilled cheese is an ultimate comfort food of mine too! I love the idea of loaded grilled cheese. The perfect comfort food with the tomato soup. What a nice childhood story. I like the idea to load a grilled cheese and have a surprise inside. Thank you for sharing! Now that’s a lot of cheese! The ultimate comfort food – yum! 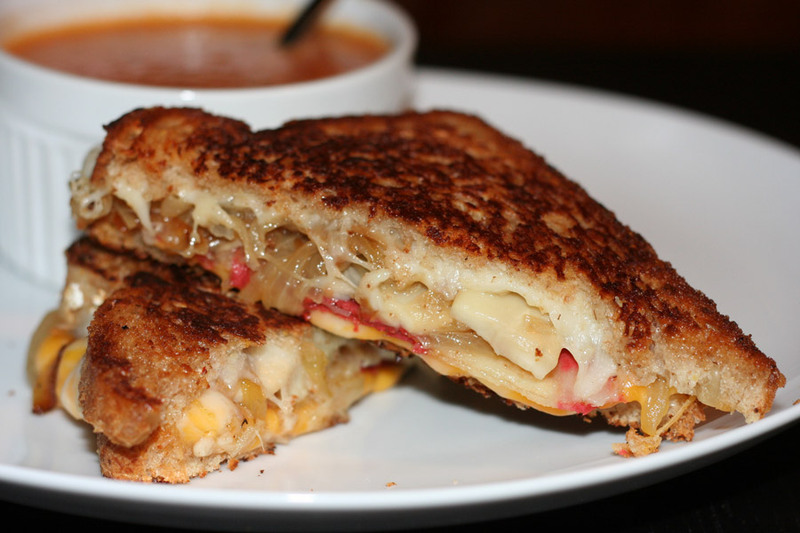 Love the combo of a soup and a sandwich, Your grilled cheese looks amazing!